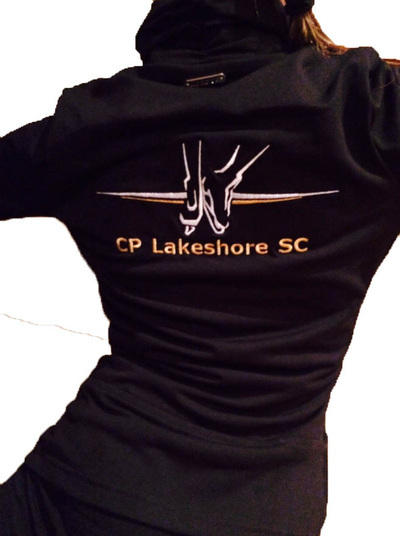 Lakeshore SC is pleased to announce that our Club sweatshirts are now available. These sweatshirts will be a compulsory uniform for all our CANSkate programs beginning in the Fall, 2015. Please email info@lakeshoresc.com for more information. Please note: once your request to purchase an item has been received, a member of our team will contact you to confirm pricing detail and sizing and to make arrangements for payment. Thank you. ...has ruched mock neck and cuffs. Thumb loop and Kangaroo style pockets. Fabric: 84% Supplex nylon, 16% Lycra. Black only. Inseam 8-10: 26". M:31". Fabric: 84% Supplex nylon, 16% Lycra. Black only. 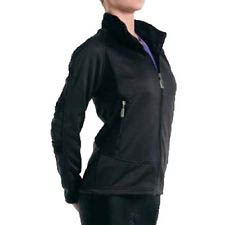 Microfibre fleece jacket with Teflon protective coating. Black only. 100% cotton. All sizes. Black only.